Read about Darcy, Bingley and Elizabeth in this P&P variation. Pride and Prejudice: Darcy Chooses Prequels is a collection of two prequels to the novel Pride and Prejudice: Darcy Chooses in the Darcy and Elizabeth Series, plus two scenes from Darcy Chooses for a peek at the novel. Pride and Prejudice: Attending a Ball is a prequel that recounts the three days before the beginning of the novel from Elizabeth Bennetâ€™s perspective and portrays the Bennets and Elizabeth’s friends: Charlotte Lucas and Melanie Farrington. It also gives extra insight into the Bennet family members. 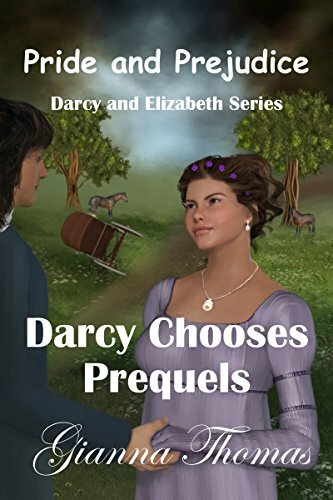 Download these Prequels NOW for a FREE copy of Darcy Chooses â€“ Part 1.